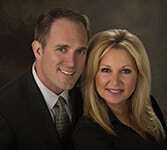 Lane and Rebecca are an amazing team of agents. They are honest and care about their clients needs and satisfaction at a level that is above and beyond. We are happy to have them as business partners and friends. Their knowledge of the local real estate market combined with their ability to go the extra mile makes them an extraordinary asset when buying or selling a home. We look forward to make more transactions with them in the future.